The Baton Rouge Area Foundation collaborated with local leaders to start the Baton Rouge Lakes Master Plan. The plan address two problems: 1) The lakes are in decline and will turn into mudflats if nothing is done; 2. The lakes are used for recreation but not designed for it. SWA Group and Jeffrey Carbo Landscape Architects, with deep input from the community, created the master plan. 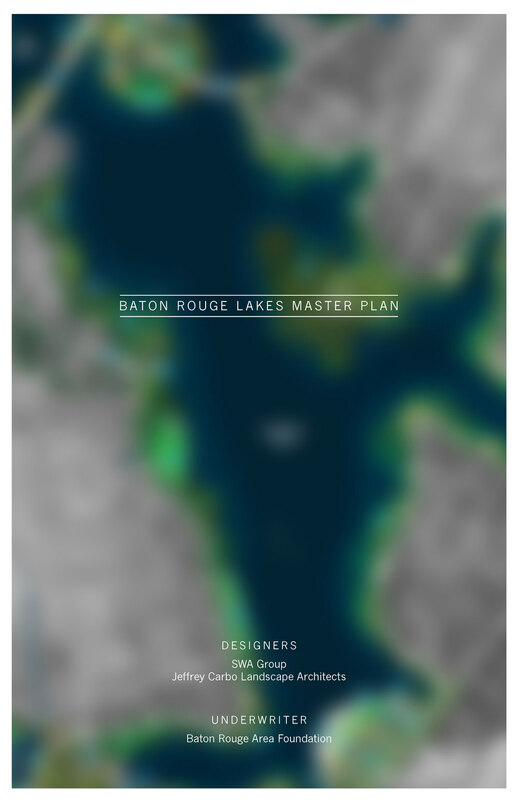 CLICK HERE to download full pdf of Baton Rouge Lakes Final Master Plan. Dredged material would be used to expand the existing park on Stanford Avenue. The plan recommends using dredged material to build May Street Park, which would be meant for families. University and City Park, now divided by May Street, would be connected with a bridge, allowing for boating between them. The area has different characteristics. Some areas are public, others are residential. The plan's goal is to expand recreation in the public areas while respecting the areas where people live. Wetlands are a natural way to clean runoff. They are recommended in parts of the lake to improve water quality. A map that shows where dredged material should be moved. To improve circulation and reduce conflicts between people and cars, designers say build walking and biking paths around the perimeter, convert some roads around the lakes to one-way and improve sidewalks and crosswalks. Cross-sections show layouts of roads, paths, buffers and lawns at different parts of the lakes area. What a vista on East Lakeshore might look like. A proposal for an expanded Milford Wampold Memorial Park, which could have a bigger beach and boat launches. New land from dredged materials could be used to create a lakeside gathering area at Lod Cook Alumni Center. Near Lod Cook Alumni Center, a nature center would let people watch birds roosting in the wetlands. A flowering, tree-lined promenade would link LSU to City Park. Near the interstate, a water garden would clean runoff from the highway. 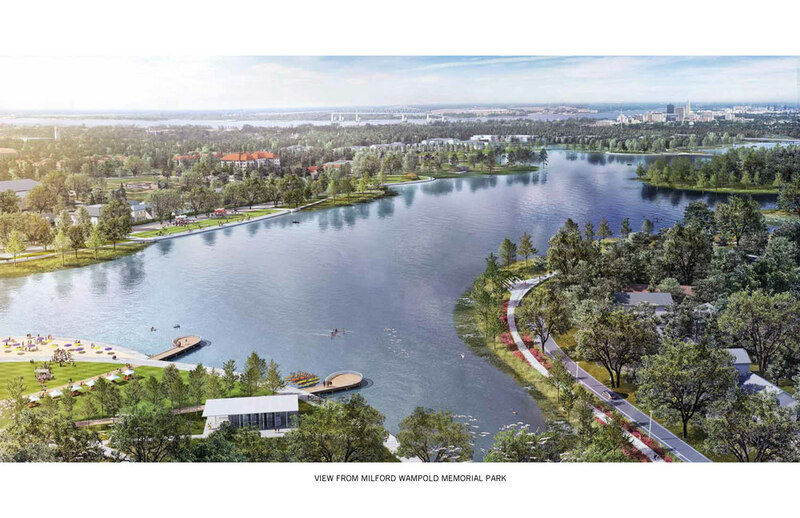 Features include building wetlands for bird habitats and to improve water quality, adding promenades at Dalrymple Drive and Sorority Row, expanding Milford Wampold Memorial Park and May Street Park, biking and walking trails around the perimeter, boathouses at City Park and near LSU's recreation center.